It is very important that you purchase the right fish pond water treatment for the right purposes. 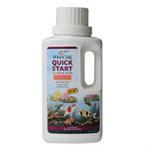 So choose from a great selection at Pond Depot today for the very best fish pond water treatments. Kordon Pond PolyAqua - 16 oz. Kordon Pond Ich-Attack 16 oz. Kordon Pond Prevent-Ich 16 oz. Kordon Pond Rid-Ich+ 16 oz. Kordon Pond NovAqua - 16 oz. Kordon Pond AmQuel - 16 oz.